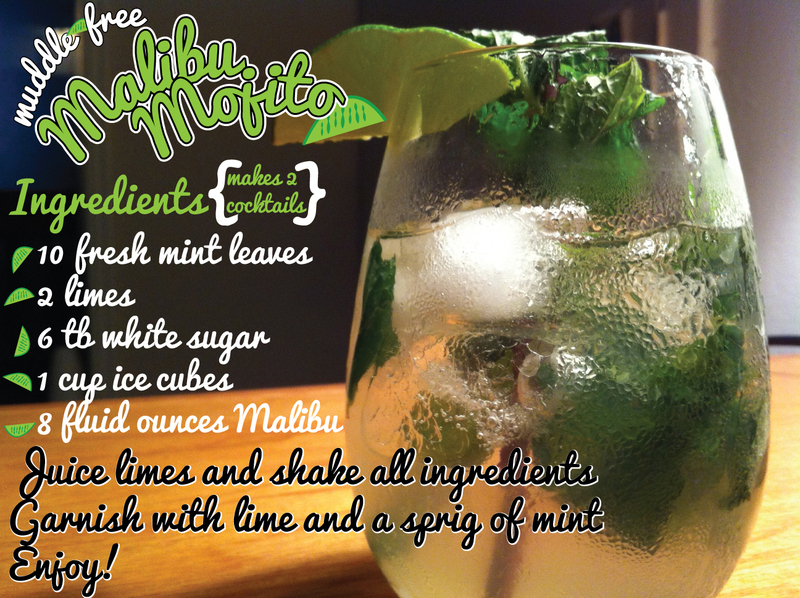 Malibu Mojito for Memorial Day! Happy Friday and almost 3 day weekend! New York City is dead this morning, everyone got today off, except me! Here’s a great, easy, & refreshing cocktail to kick off your weekend, even if it’s going to be humid and rainy!! Malibu is sweet enough that you don’t need simple syrup (love<3water), but I still add a few dashes of organic sugar.